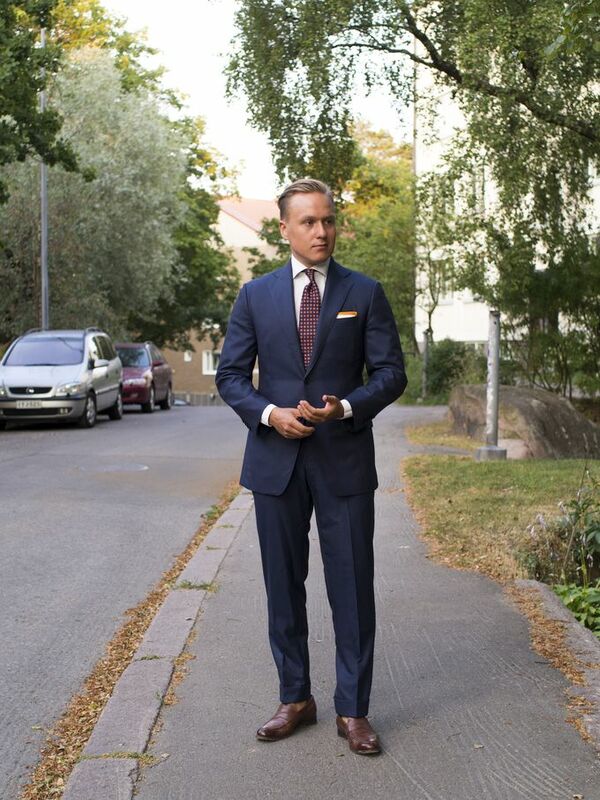 A dark blue suit like this one is a perfectly good piece to use all year, but it is especially at home during summer. Here's an example of how to use one for those warm days at the office. 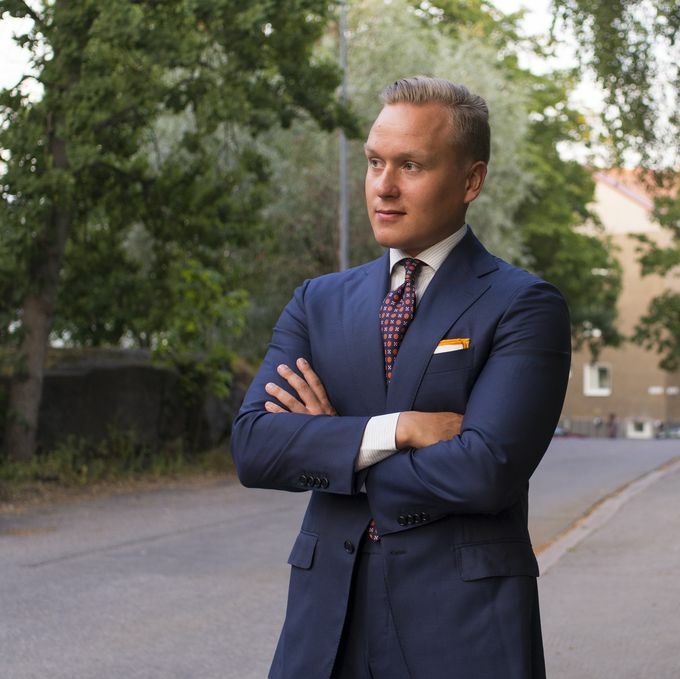 So, the suit is a fully-canvassed made-to-order suit from Vaatturiliike Sauma (Aristoni fabric), Suitsupply striped shirt, Berg & Berg printed silk tie, Viola Milano contrast border pocket square, Albert Thurston suspenders, Cheaney penny loafers. I have to say I love this tie. The colors are vibrant and the material is lightweight. On top of all, it ties the most beautiful knot. 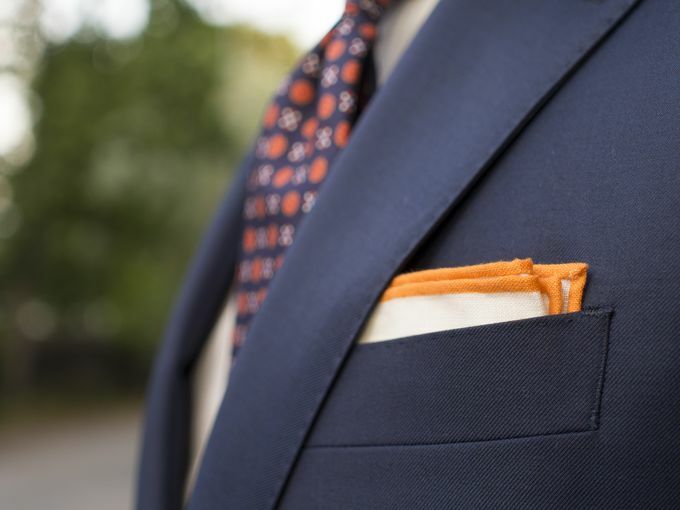 A contrast border linen pocket square is a good way to add a little bit more color than a regular white cotton pocket square. Go for a color that has some of your tie's secondary colors as the border and you'll hit a home run every time.